Stunning green turquoise circle surrounded by lime green Swarovski Crystals. All set in an ornate 925 Sterling silver circle with triangular bale. 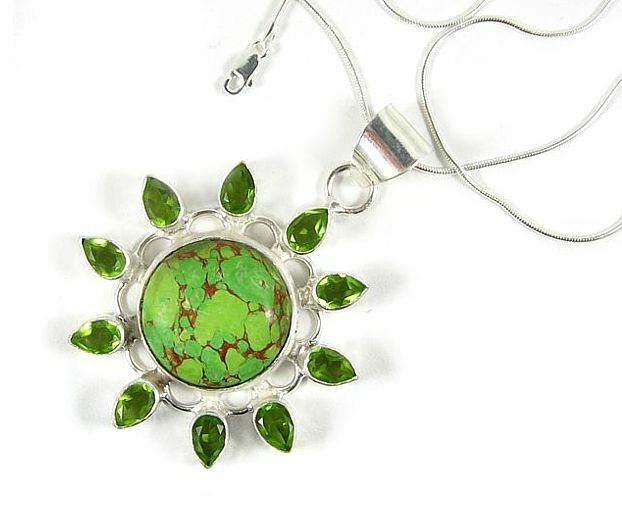 Comes complete with 46cm (18") 925 Sterling Silver chain and green organza necklace 43cm (17") plus 5cm (2") extension. Pendant: 4.5cm plus bale.